Do your eyes hurt each time you use kajal or liner? Is your eyeliner causing a sticky, irritated feel on your eyelids? Chances are, your eyes are sensitive to the ingredients in your kajal/liner. Day after day, the tender areas of your eye and skin absorb everything that's in your kajal. Shouldn't your kajal be safe and all-natural? 100% natural Angel Eyes true black kohl kajal with no synthetic dyes, preservatives or other chemicals. Ultra-soft, creamy formula made from jojoba oil, macadamia oil and soothing chamomile extracts. 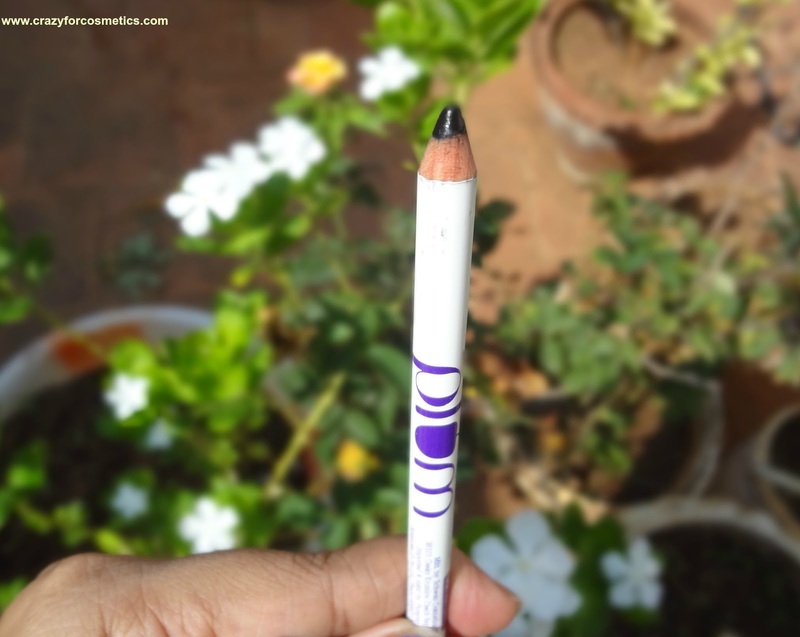 Experience India's #1 chemical-free kajal pencil for sensitive eyes & skin. 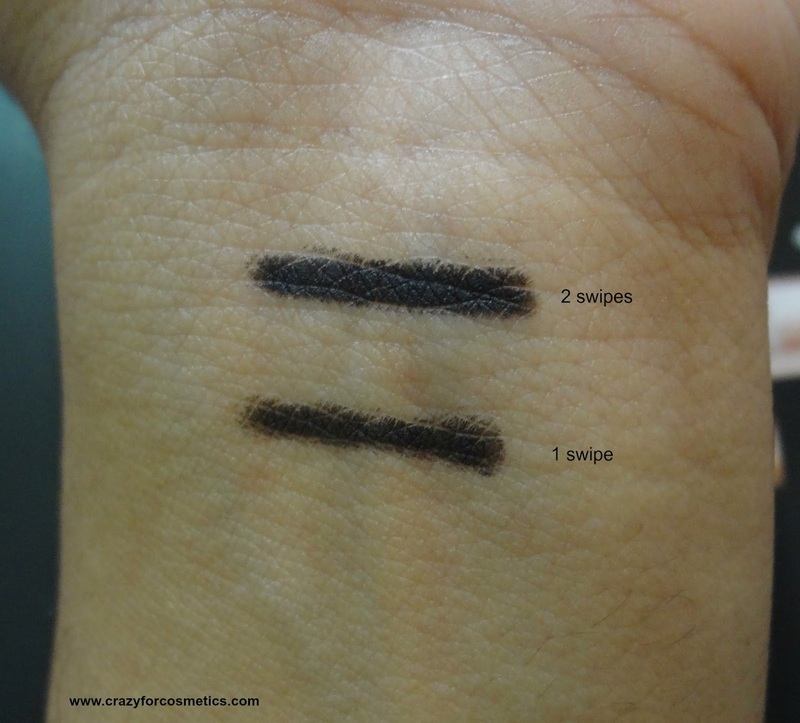 ♥ Rich "True Black" color with excellent coverage & long-lasting application. However, it should be noted that this is an all-natural kajal meant for inner eyelid application. While a 4-6 hour stay can be expected in most cases, a fully smudge-proof or water-proof performance is not guaranteed. Pronounced “ho-ho-ba” oil, jojoba oil is a skin-compatible naturally occurring “goody” that PLUM loves. Because it resembles the natural chemistry of sebum on skin, it has excellent healing and moisturizing properties to keep your eyes shining through the day. NOTE : JOJOBA - I only remember Steve Martin in Pink Panther 2. Rich in antioxidants, including squalene, a naturally occurring antioxidant present within our skin, macadamia oil makes this formulation supremely skin-compatible. Soothing, relaxing, and calming. Now you know what Angel Eyes is all about. Bet you never thought about oil when you saw mangoes. Some of us did, and decided to include this really exquisite source of essential fatty acids and vitamins in our kohl kajal. Bored of the black colored plastic casing for black kajal ? Looking for something different in your stash? The Plum Goodness Angel Eyes Khol pencil comes in a white colored packaging. It is made of wood with the kajal inside and needs to be sharpened just like any other khol pencil and is very light weight. Sharpening leads to removal of germs from the tip and hence it is very hygienic to be used on the waterline. 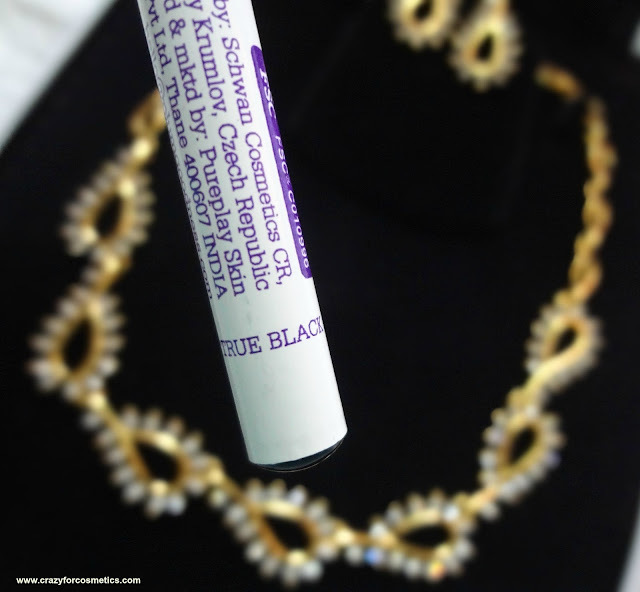 Tired of wiping tears that emanate soon after you apply kajal ? 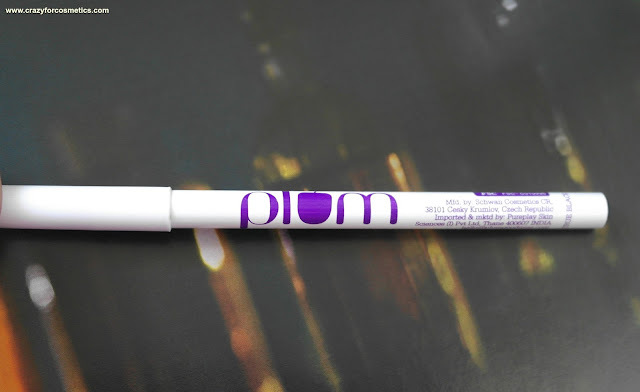 The Plum Goodness Angel Eyes Khol Pencil has 100 % natural ingredients which will not hurt your eyes and will keep them nourished throughout the day due to presence of Jojoba Oil and Macademia Oil. 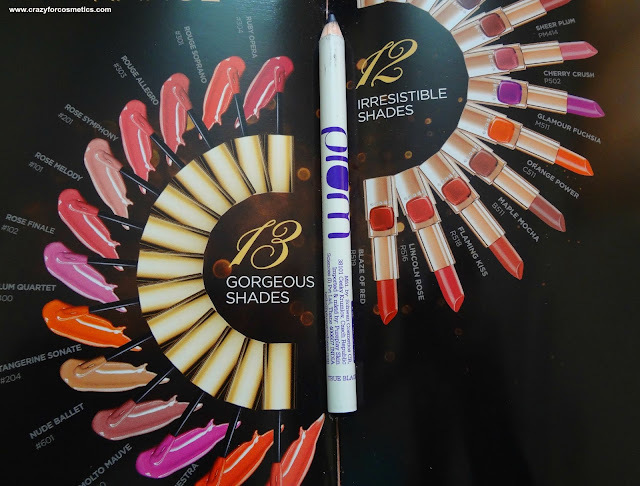 The Plum Goodness Angel eyes khol is not as creamy as other pencil liners that I have tried and it needs quite an effort to apply it uniformly on the waterline.The pigmentation is very good and it gives a jet black color and a matte finish once it sets. The khol pencil delivers a good black color in multiple swipes and it does not smudge for about 5 to 6 hours after which it slowly starts to smudge. 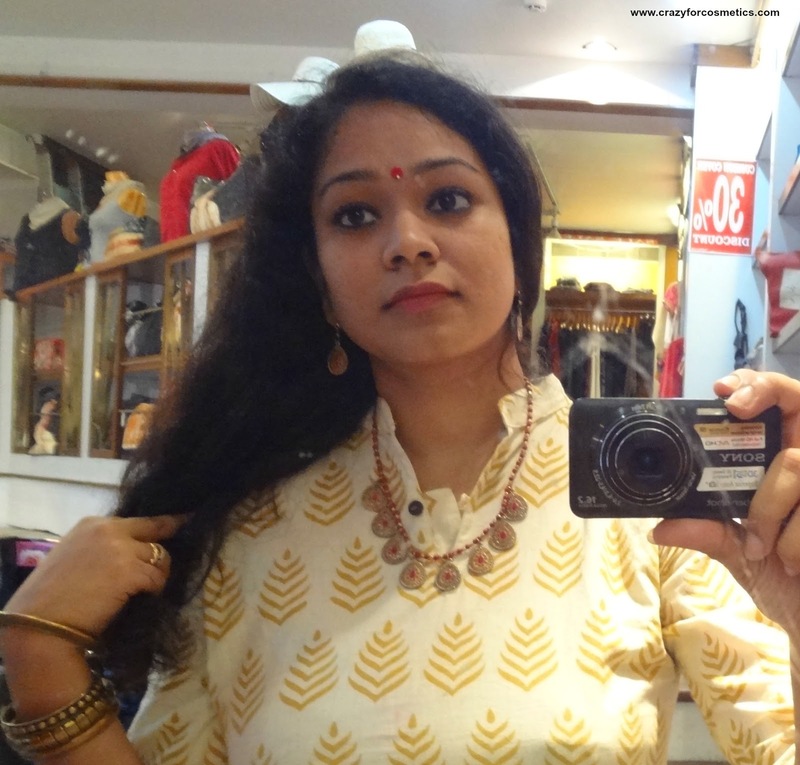 It did not disappear totally from my eyes since my eyes did not water due to any irritation from the kajal. When used as a liner on the eyelid, it hardly stays for 2 to 3 hours and it gets completely wiped off by the end of 3 hours. Removal : It can be easily removed using either coconut oil/olive oil or any good makeup remover and no residue will be left back. 1 : The formula is not creamy and needs to be applied with some effort. Will I repurchase ? Yes I will for sure. Hope they manufacture in more colors soon. *PR sample, opinion expressed in honest.